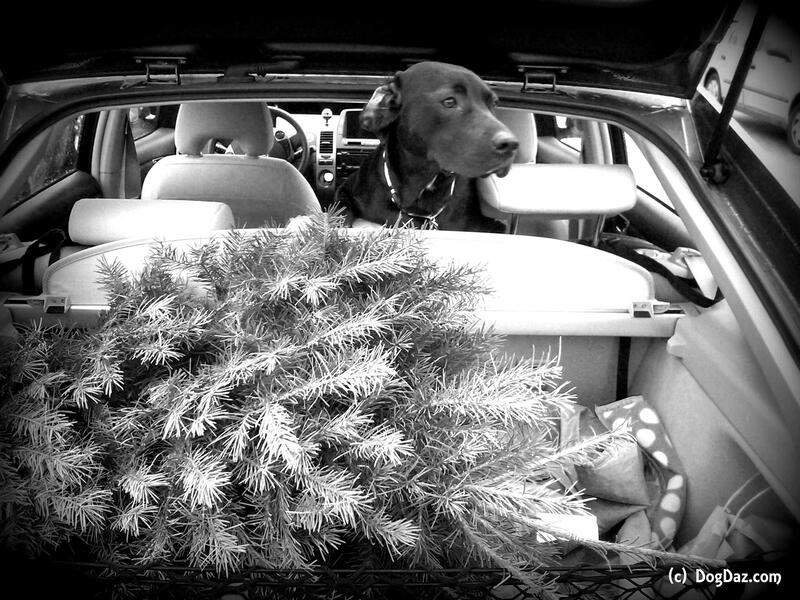 In 2010, Louise was about 13 months in this picture, she helped us with our first little holiday tree. Once the kids were bigger, they didn’t care as much about decorating the tree (which used to be a very big deal, so much so, that we had to have 2 big trees so that everyone could have every decoration on them), which freed us to start getting ‘Charlie Brown’ trees – little and cute. Holiday time is a happy time here at DogDaz Zoo. Make sure to keep your furbabies safe and tether your tree to something so that climbing cats and zooming dogs won’t bring it down to the ground. We have a permanent eyehook near where the tree goes every year. In the non-holiday season, it has a cat sculpture over it. Have a wonderful Black and White Sunday! We don’t climb the tree anymore…but we like to play with the ornaments. Sweet mini-tree and baby LuLu. Beautiful photo! That’s a good tip about securing the tree. My sister Nymeria can’t keep the christmas tree alone and has already broken so many ornaments. We’re afraid she’s going to eventually knock down the tree!